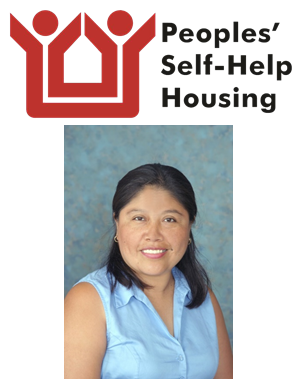 Central Coast, Calif. May 10, 2016 – Employees of The Duncan Group – Peoples’ Self-Help Housing’s affiliate non-profit property management affiliate – have elected Property Manager Mireya Rojas as 2015 Employee of Year, recognizing her as a responsible team player. Having been employed by The Duncan Group since 2003, Rojas is Property Manager for PSHH’s Victoria Hotel, Casas las Granadas and Victoria Bungalows complexes in Santa Barbara. Coworkers say Rojas loves the organization and that she has brought stability and structure to the position. Rojas is appreciated for giving 100 percent each day and it is obvious she loves her job.